Greenview Heating was created in April 2015 to provide stove and fireplace installations. By investing, developing and driving forwards the strategic vision of owners Adam and Shirley Pudelko and chief engineer, Rom Pudelko, Greenview Heating is already a high growth start-up company employing 3 members of staff. 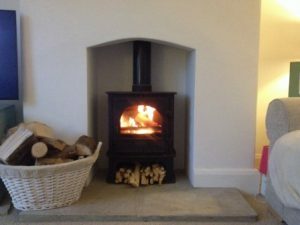 They are specialists in solid fuel, wood burning and gas heating appliances as well as a biomass and renewable fuel appliance installation specialist. They have been supported by the Chamber with pre-start advice, help with business planning and to improve their online presence. They also sourced a new supplier by attending the ECOFAIR 2015. The business is also receiving help from a Skills Service adviser to identify training and recruitment needs going forward.